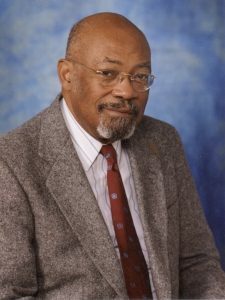 Our community lost a force for justice with the recent death of Dr. Hubert G. Locke. Locke was a scholar, activist, mentor, mediator, and advisor to public leaders across many disciplines. Locke’s life of service to the common good began as a minister in Detroit. As the civil rights movement bloomed, he was called into other arenas of community service and activism. His ability to combine an unflinching analysis of unjust power systems with a deep, practical compassion was legendary. He mentored hundreds of students and advised dozens of elected officials and community. Among the many organizations strengthened by his counsel is the Church Council of Greater Seattle. We honor his life and mourn his loss. Locke arrived in Seattle in 1976 to serve the University of Washington, where he worked for more than two decades – as assistant dean of the College of Arts & Sciences, as vice provost for academic affairs and as dean of the Evans School of Public Policy and Governance. But long before he arrived in Seattle and long after he retired in 1999, Locke was a force for justice and equity, personal integrity and civil society. In 1966, he was convinced by black leaders in Detroit to accept a position created inside the police department, an experience which led to his publishing The Detroit Riot of 1967, his firsthand account of that conflict. He continued to study policing and law enforcement policy through out his career, serving on dozens of local and national advisory panels and boards, advocating for racial and social justice. A memorial service will held on Saturday, July 28 at 10:00 a.m. at the University Christian Church, 4731 15th Ave. NE, Seattle 98105, followed by a reception.